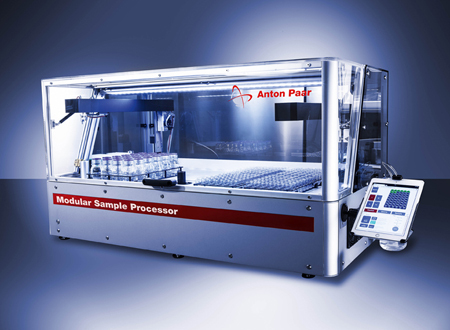 The Modular Sample Processor facilitates automated sample preparation steps prior to analysis. 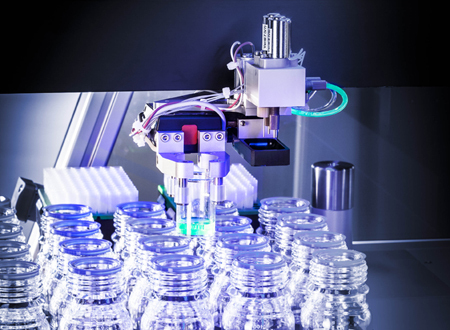 Tedious manual tasks like pipetting, sampling, dosing, and weighing can be easily automated for a wide volume range and many different sample types. This results in the right volume, concentration, and blend. The Modular Sample Processor can be used for liquids and solids as a benchtop unit or integrated into complete automation solutions. 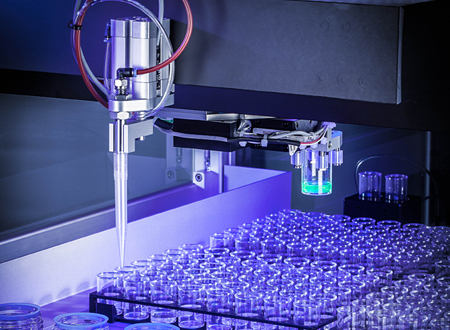 Gravimetrically controlled pipetting for subsamples, dilutions, and blends with a high-precision weighing unit guarantees the correct volumes of the resulting samples. The complete workflow is software-controlled and the gravimetrically determined final volumes of the subsamples represent the incoming value of the subsequent analysis. The standard configuration of the Modular Sample Processor is able to handle viscosities up to 1000 mPa·s. The capacity for higher viscosities is available and can be integrated on demand. an integrated part of a complete automation solution in accordance with your particular needs. The samples are fully traceable over the whole sample preparation workflow by the integrated bar code reader. You always know the origin of the subsample for subsequent analytical measurements as well as all steps performed on the subsample. If you want to analyze your samples after your preparation workflow the HTX high-throughput platform is the solution of choice. The HTX platform combines all the functionalities of the Modular Sample Processor with the high-precision of Anton Paar measurement devices. With this combination you can prepare and analyze up to 2000 samples per day.